Much ink has been spilled discussing the various merits and drawbacks of political leaders as we gear up for election season. While many Vermonters may dislike our current leaders because of their seeming disdain for the Vermont values of individual freedom and responsibility, the revolving door of politicians at the Statehouse belies a second, more insidious problem: Vermont’s government is burdened by a culture of micromanaged expertise. DUNCE: Since last August, we saw a proliferation of experts who argued before various legislative committees that having the freedom to negotiate a wage would leave thousands of Vermonters working for poverty wages. Not having “the background to answer” simple questions is emblematic of a much deeper problem than one gubernatorial candidate’s jumbled answer. 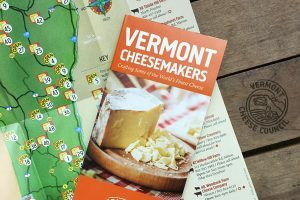 Namely, Vermont’s government has become so expertise-driven that candidates and legislators alike are hesitant to express even the most basic definitions. In my first six months at the Statehouse in 2018, I sat in on countless presentations by progressive-leaning “experts in their fields” who, for the most part, told the audience how a laundry list of big government laws would make Vermont a better place. These experts often asserted that the academic literature recommended such policies “beyond a shadow of a doubt,” despite the fact that other research may have disputed such bold proclamations, or at least suggested they were far from certain. And for the most part, our legislators were happy to go along with “the” expert opinion. Hallquist’s “I’m not sure I know what socialism is, so I don’t have the background to answer that question” is not an answer that shows a lack of intelligence. Rather, it reveals a “default of deference” that is all too common in our Statehouse. Take the $15 minimum wage. Common sense suggests that Vermont business owners and employees should be able to negotiate a fair wage for employees’ time. 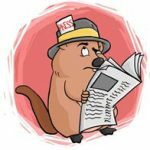 And yet, since last August, we saw a proliferation of experts who argued before various legislative committees that having the freedom to negotiate a wage would leave thousands of Vermonters working for poverty wages, while discounting the possibility that thousands of Vermonters would be unable to get their first job and become dependent on the State. The experts have preferences, just like every day Vermonters who lack that big picture expertise. When activist government is treated as the norm, there is no end to the government’s use of experts for crafting public policy. 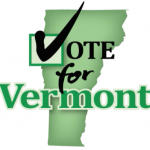 As Vermont policy becomes increasingly obtuse through the input of experts, there is only so much well-meaning representatives can do to prevent our government from becoming more informed by expert opinion than citizen input. While it may take a while to get there, Vermonters have a right to government that doesn’t need experts because it is limited in scope. 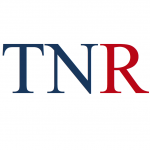 The only real alternative to a government of expertise is a government that stays true to the time-tested principles of limited government and free markets, which rely on everyday Vermonters rather than expertise to function. I for one, would much rather trust my neighbor than an expert. Today, I may not be correct, but I believe there are far more lobbyist per capita in Vermont, than any other state in the nation. One of the most often heard comments was “It’s complicated”. Yes it is when you want it to be. We need to study this off session as often as we can because we get paid. I think the best thing that we could do is have them in session year round. Just joking. We would be better off if they could only meet for 90 calendar days every two years. Great article! The big public education education monopoly is full of, “experts” like Bill Mathis. His conclusions are to benefit the behemoth public education monopoly. Billy is a great puppet for the teachers union, he creates education regulation and policy here in Vermont (as the number 2 on the education board) while he’s collecting cash from the Colorado based, teachers union funded, National education policy center. I guess our elected officials are okay with this huge, glaring, conflict of interest. 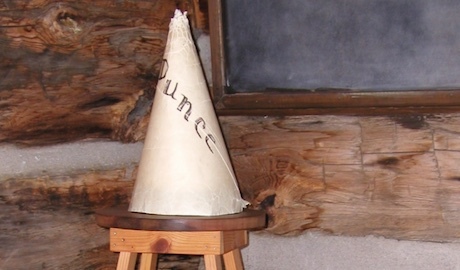 The graphic of the dunce hat in the article is amply appropriate. We have citizen dunces electing politician dunces who consult with expert dunces to ruin our state. Wonder why intelligent people who value freedom are fleeing Vermont? Just watch the dunces and what they do.